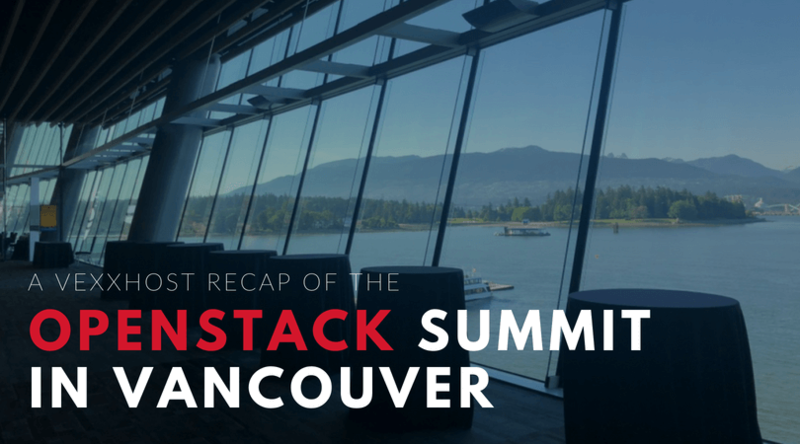 Over the last week, the OpenStack foundation concluded its summit in Vancouver. The event contained a lot of great and useful information for users and from users of the software. We were very happy to be a part of this event as sponsors, infrastructure donors and contributors to the talks and keynotes. This article will recap the VEXXHOST highlights of the event. We’re running the Queens release! During the summit, we announced that we have upgraded our entire platform to the latest release of OpenStack, Queens. Our public, private and hybrid cloud platforms are currently running the 17th release which has allowed us to add more features and deliver more benefits to you. The upgrade to Queens will benefit users by allowing them to take advantage of Helm, which containerizes OpenStack services and puts them in a Kubernetes pod. This will provide a collection of Helm charts and tools for managing the lifecycle of OpenStack on top of Kubernetes and running OpenStack projects as independent services. The new release adds native concepts from Kubernetes such as pods, which enable a group of clusters to be deployed on the same host. Additionally, user will benefit from the addition of Multi-Attach in Cinder block storage. Multi-attach will allow users to have more than one virtual machine attaching to the same volume, so if one goes down, the users will benefit from the high-availability of this feature as another VM will take over accessing the same storage. During the first day of the summit, our very own CEO, Mohammed Naser, presented a demo showing OpenLab, a community-led program to test and improve support across platforms including Kubernetes, Terraform, Cloud Foundry and more running on our OpenStack public cloud. To highlight the integration testing across these technologies, Melvin Hillsman, a contributor to OpenLab, was joined by Mohammed Naser to deploy an application on top of Kubernetes, leveraging our public cloud. Additionally, OpenLab published a case study on how Zuul is currently being used as an offering within OpenLab for projects/applications/tools that need CI gating and/or automation around testing. Kata Containers was released and demoed running on VEXXHOST! After Kata Containers was announced at KubeCon last December, the team announced the 1.0 release on Monday morning during the keynotes. Kata Containers provide a way of isolating containerized workloads with security comparable to virtual machines (VMs) without the performance burden of full VMs. This solution offers a fast and secure deployment option for anything from highly-regulated workloads to untrusted code, spanning public/private cloud, containers-as-a-service, and edge computing use cases. 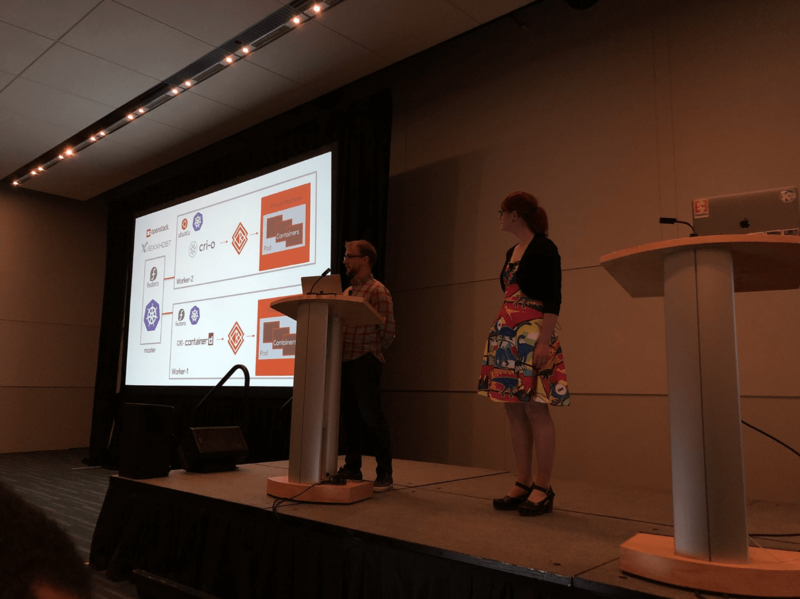 The release was followed by a live demo from Eric Ernst and Anne Bertucio during the container infrastructure keynotes Tuesday afternoon. During the container infrastructure keynotes, Kata Containers 1.0 delivered the fully integrated code bases and had a successful demo on stage running on our public cloud. Mohammed Naser was joined by Paul Belanger to hold a workshop during as part of the OpenDev CI/CD curriculum. The beginner level workshop held to help users get familiar with Zuul which ensures that developers have the tools needed for testing as well as making it possible for downstream users to contribute results back to the system. With the release of Zuulv3 by the OpenStack Infrastructure team, Windmill has been created to help users stand up their own CI infrastructure using Ansible. The workshop covered setting up Windmill to report results back to the OpenStack project as well as helping users get the ability to see how Zuulv3 works will GitHub. We gave away some cool gadgets! 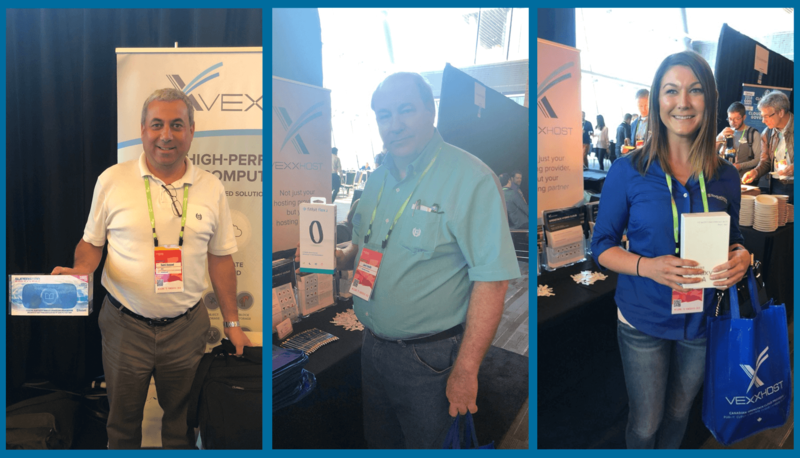 Every day of the summit, the attendees of the event had a chance to win some cool gadgets at the VEXXHOST booth. We would like to congratulate our winners this year, Sami, Jack and Brooks! Overall, the event was a success and we hope that you enjoyed it. If you did not have the opportunity to attend, we hope this recap gave you an insight on to what the VEXXHOST team was up to. It is great to be part of this community and this event. We would like to give credit to all of the other industry experts that co-sponsored this event! We will see you all in Berlin! Get your OpenStack project up and running quickly. Our consulting service is designed to get your OpenStack projects up and running quickly and smoothly. Whether you are looking to upgrade to the latest OpenStack release, implement an OpenStack component or looking for guidance in your OpenStack strategy, you can count on us to help you reduce both time and risk of implementation. Schedule a consultation with us and get your project running smoothly.